Come and join us for some more FUN and FAST paced 3v3 soccer action! This will be another fun event for all boys & girls U7-U15. Best part, it will be held INDOOR at Game On Arena Sports in FTW! Registration ends January 31st so sign up NOW at www.GameOnFW.com/Tournaments. 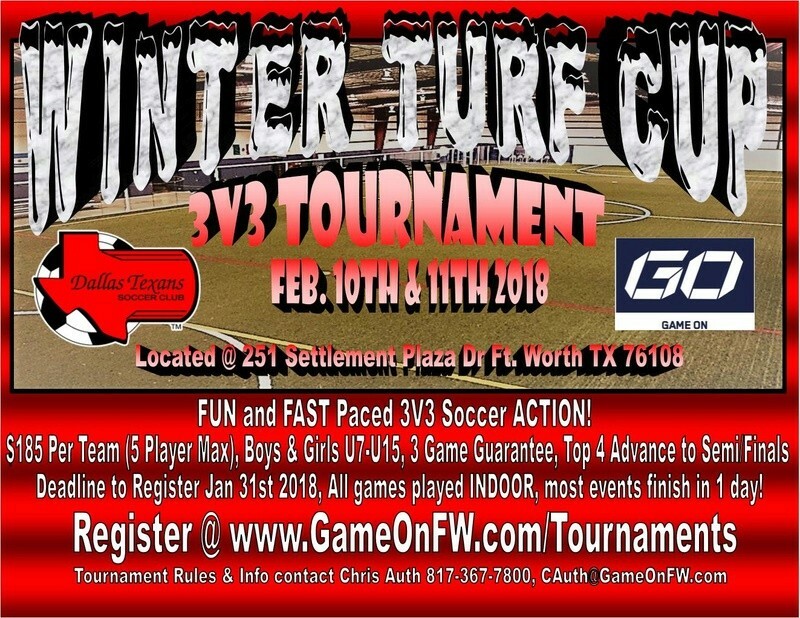 For more tournament info please contact Chris Auth 817-367-7800 or CAuth@GameOnFW.com.